All homes currently listed for sale in the zip code 83703 as of 04/21/2019 are shown below. You can change the search criteria at any time by pressing the 'Change Search' button below. 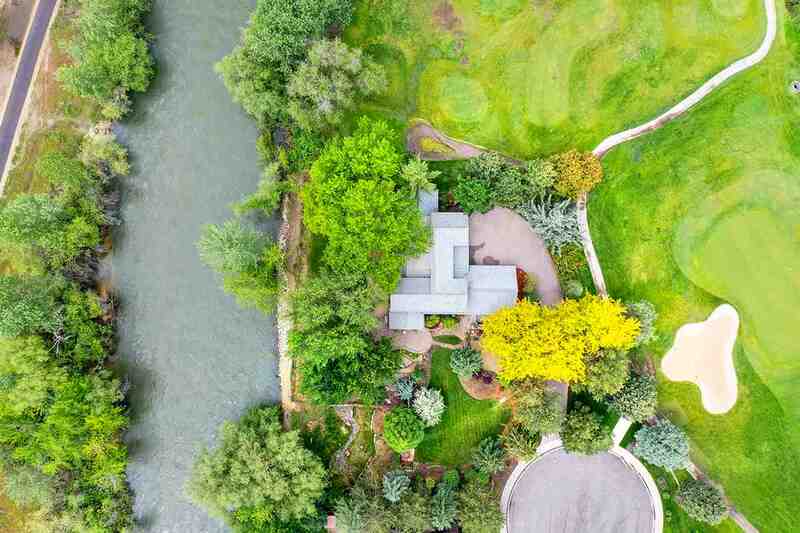 "Exquisite RIVER FRONTAGE setting in the middle of town, just minutes to downtown Boise, Eagle, & all types of recreation. Rarely available river lot with no greenbelt between the home and the river, very private and serene setting in The Plantation Subdivision. Mature trees and park-like setting complete with a contemporary home featuring clean lines and potential to customize. Two master suites, high ceilings, floating staircase and extensive glass to take in the view. 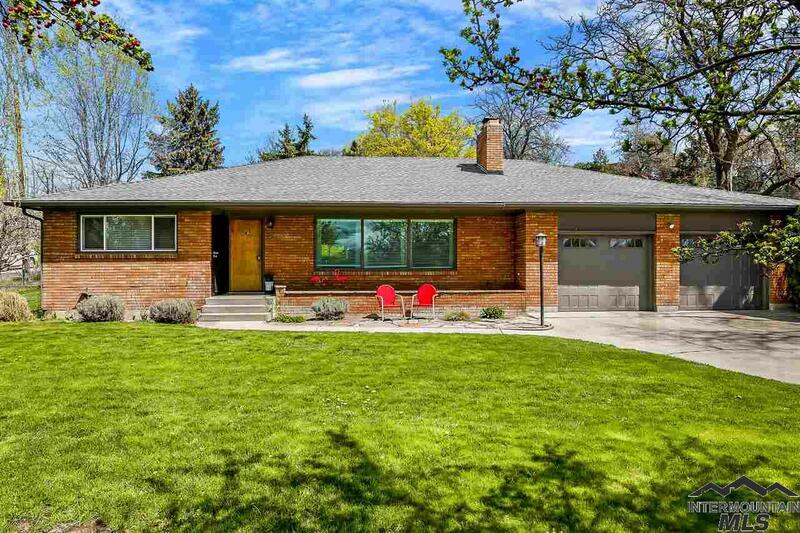 Quaint sunroom for year-r"
"Irreplaceable riverfront setting on the Boise River! Desirably set on the bend of the North side, providing views up and down the river, this ~ acre estate is exquisitely landscaped and unbelievably private. 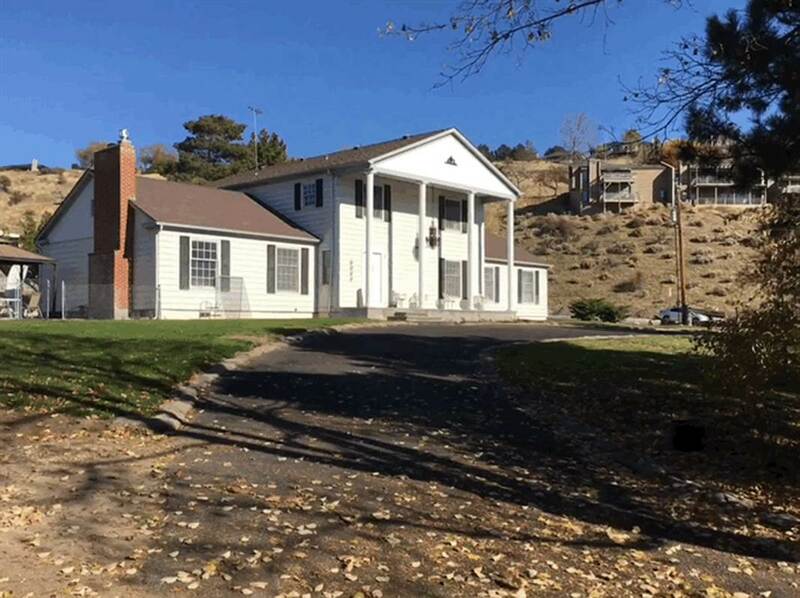 The property enjoys over 220 feet of frontage along the Boise River! It is a rare riverfront setting, w/ no public Greenbelt between the home and the water... the site is truly breathtaking! Built by Randy Hemmer in 1983, the home has been meticulously maintained and adored by the origin"
"See the VIEWS! Home under construction, perfect time to create your dream home! 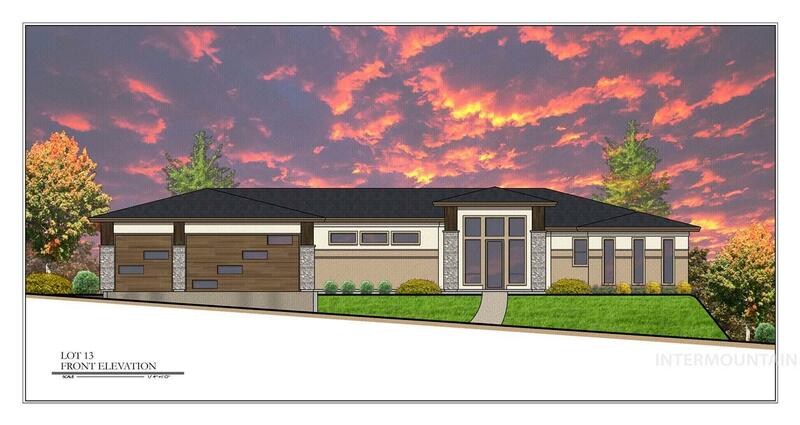 3700 sf of custom design, 3 bedrooms, 4th Bed/Den, Bonus, 3.5 baths, Huge 3 car garage. Main level has 3 bed, 2.5 baths and yes...VIEWS! After Entertaining your guest in your gourmet kitchen it s time to relax in the Great room and enjoy the views! At sunset step out to your entertainment deck area and soak up the breathtaking views of the foothills! We are in framing stage & building fast! Time to pick your per"
"OPPORTUNITY KNOCKS! 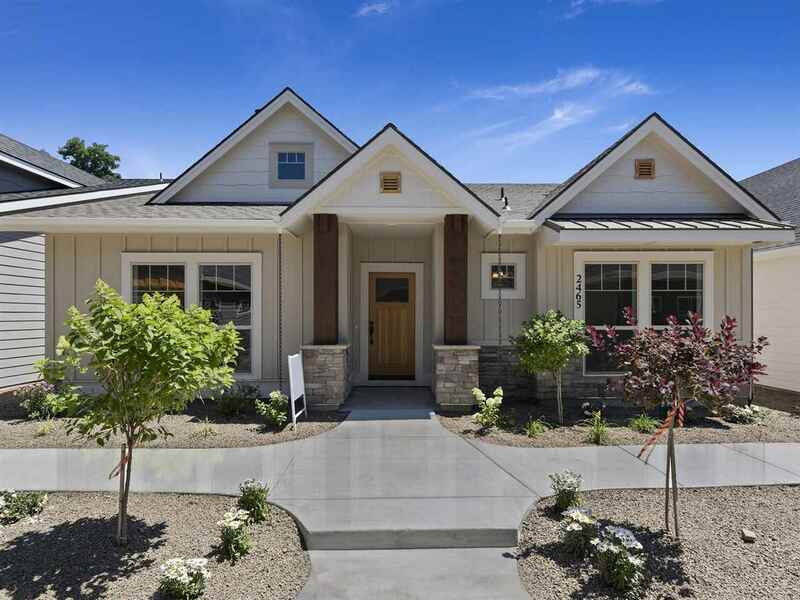 Nestled in the Boise foothills and next to a premier golf course this new single level home by JPC Builders is a masterpiece. Enjoy 4 bedrooms, 2.5 baths, Open great room and gourmet kitchen, spacious 3 car garage all on one level living! 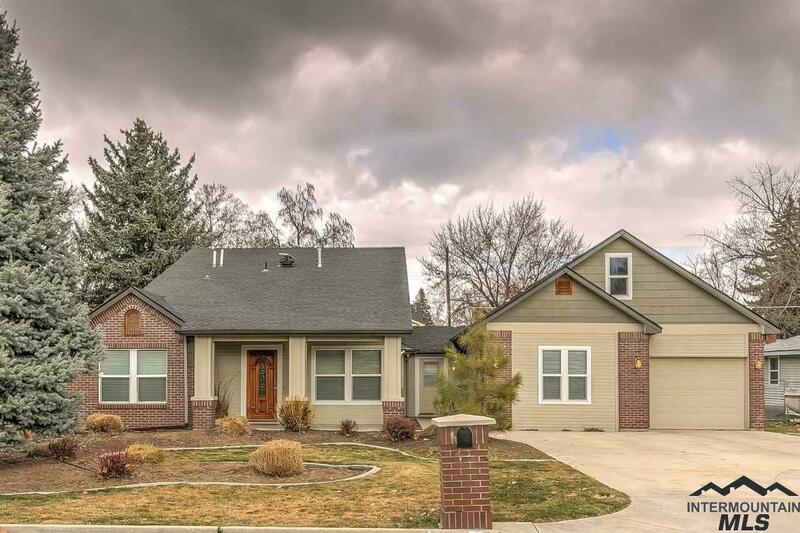 Close to downtown Boise with access to miles of hiking & biking trails, Only minutes to downtown, BSU & I-84 connecter. 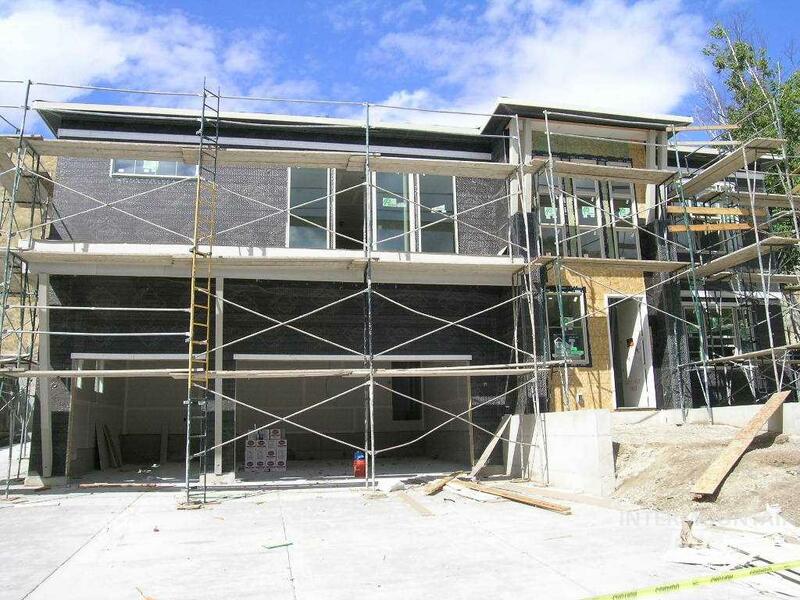 JPC Builders will walk you through step by step as we build your dream home. Come see the views and the foothills life st"
"Don't miss this beautiful home in desirable Quail Ridge. Easy access to foothills. Main level master has a fireplace, dual vanities, soaker tub, walk-in shower, and spacious walk-in closet. The upstairs bedrooms share 2 full bathrooms and has a huge bonus room with views of Bogus Basin. There's a great area in the landing for a study area. The East facing back yard is completely fenced in rod-iron. Perfect for Summer evenings. The fireplace in the living room was just remodeled with gorgeous sta"
"Stunning mountainside retreat! This custom home has been lightly lived in for less than a year! Solitude awaits you with functional open floor plan, gorgeous hardwood flooring, custom kitchen with large island/pantry, high-end Quattro wood burning stove, spacious rooms, main level master, INCREDIBLE bonus w/spare bdrm/bth and patio, HUGE covered patio, and large backyard. Access to the Harrison Hollow trail system right off the back yard, close to town, and Quail Hollow GC - this home will not "
"Beautiful one of a kind Brick/Stucco home sits on half an acre in front of the 17th hole of Plantation Golf Course: Mature landscape creates a private park like yard:all landscape is water by private well: Kitchen and family room have been remodeled : separate formal dining : shop area that is plumbed for sewer and water: Master on main level: large office: three bedrooms on upper level : BONUS room could be 5th bedroom built as play room or office." "This home is immaculate & filled with light. Single-level home in Arrowhead Canyon. Vaulted ceilings, light alder wood floors, along with the spacious floor plan make this a beautiful home for entertaining. French doors lead to the family room, a perfect place to view your favorite show or the game. Kitchen features Quartz countertops, alder cabinetry, breakfast bar, stainless steel appliances & pantry. An exceptional master bedroom is more of a retreat than a bedroom with a fireplace. Fun commu"
"Contemporary home in the foothills. Views out the front and back. See full plans under the docs tab. Last opportunity to have a new home in this area." "Beautiful home on 12th T-box of Golf course. Master on main, all 3 bedrooms have their own private bath. Central Vac, Water Softener, Garage has golf cart garage door, sink in garage. Built-in shelving in living room, Office has large storage bench, High end window coverings, Built in desk in eating area, granite counter tops, filtered water tap, large corner pantry, gas range, inset sink. Large laundry room with door to outside, has laundry sink and large shelving unit. 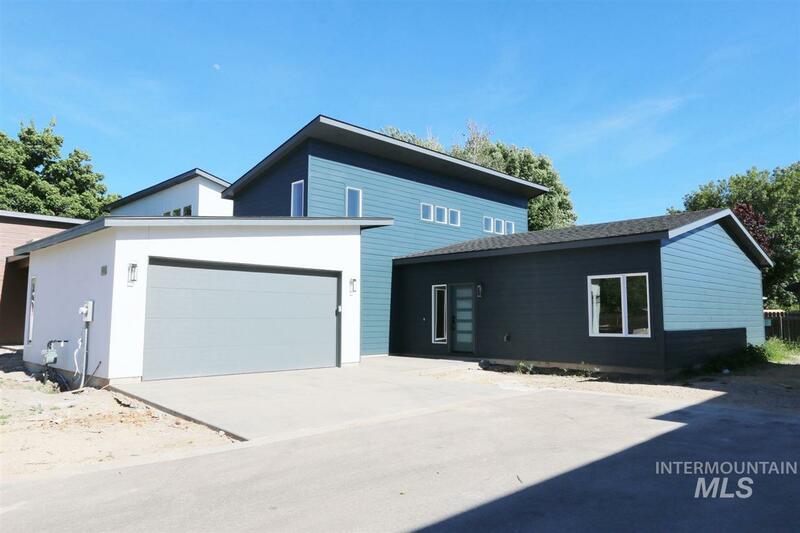 set up for electric or "
"Beautifully updated home with extensive 2,000 sqft addition located across from Sunset Park & < a mile to Esther Simplot/Whitewater Park. This home was remodeled in 2006. Kitchen has gorgeous Alder cabinets, tile counters & flooring, black appls. & SS sink. Also - new interior coat of paint, newer carpet, abundant storage, & RV parking. Master has updated onsuite w/ tile shower & lrg walk-in closet. There is also the perfect set up for an IN-HOME BUSINESS! w/ sep. entrance... already set up for "
"Don't miss out on this mid-century modern gem! Located in north boise w/ many original features. This all brick home, sits on a large .38 corner lot, with access to Ridge to River trails right out back door. The backyard has a beautiful covered patio, with lots of space for gardening in the fully fenced yard. The kitchen is bursting with 50's charm, including original blond wood cabinetry. 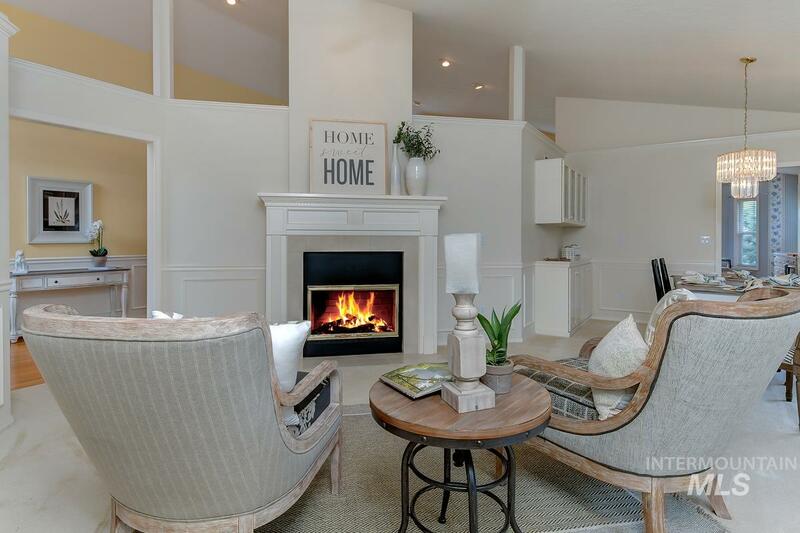 Living room features the original fireplace and built-ins, and down stairs the family room has large gas fi"
"This beautiful brand new custom home is the entertainers dream. Massive open floor plan with tons of natural light. Across the street from sunset park and minutes from the foothills and downtown. Every upgrade you could want comes standard, from the huge center island to the beautiful tile mantle. This home features granite and tile throughout and high efficiency appliances sure to keep you comfortable and utility bills low. This beauty is completely move in ready! Come take a look before it's g"
"Prime investment opportunity in the heart of the North End! Already zoned R-1C, this property is loaded with potential. Development for up to 3 new dwellings. Property to the west is also listed with our team. For the right investor there is opportunity to purchase both parcels for development." "Meticulous, updated home, backs to Plantation G.C. & Easy Greenbelt Access. New Roof, Newer Windows, New HVAC, New Insulated Garage Doors. Just finished Master Tile Shower/new door. Kitchen features new counter tops, backsplash, new counter depth refrigerator. Vaulted Ceiling w/Wood Beams. Beautiful new outside entry, steps, rails & front patio This is a wonderful floor plan w/4 bedrooms plus large office w/built ins. Family rm w/upgraded fireplace, living rm, formal dining. 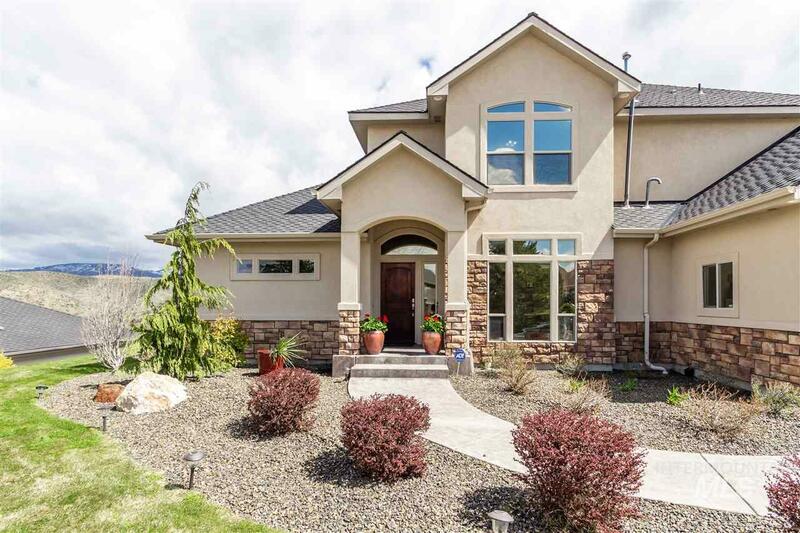 See features on "
"Beautifully updated home in NW Boise with the Boise foothills & trails a few steps away. Upstairs living area is perfect for entertaining lots of guests. Home features all new stainless steel appliances, new kitchen granite counter, custom back splash, new stained hardwood floors, new carpet in downstairs family room, updated lighting, hinges & hardware. 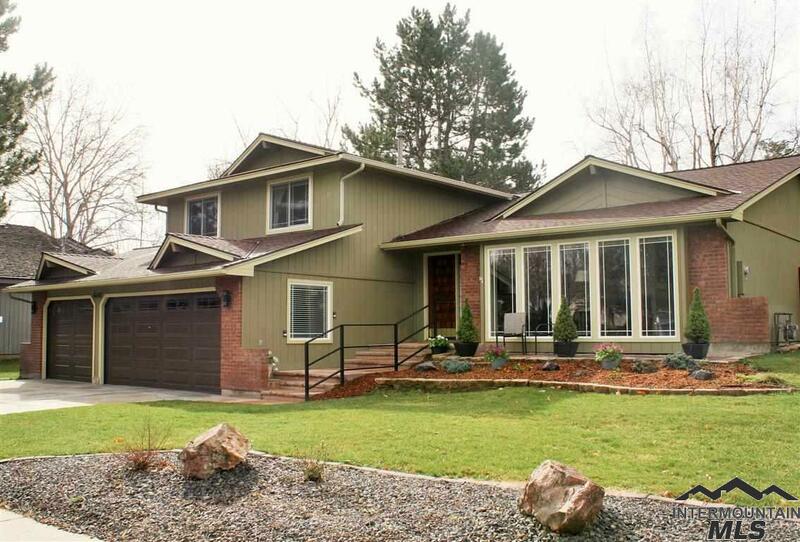 Large back yard with wood deck & patio area for summer bbq's, pond feature & garden area. Plenty of natural light throughout. A must see!" "Incredible low-maintenance townhome in prime Boise location! Easy walk/bike ride to Greenbelt, Lake Harbor & downtown! This exquisite hm is meticulously maintained & has high-quality Craftsman touches inside & out: light fixtures, rich Brazilian Cherry hardwood, wood windows, beautiful trim work. Gorgeous kitchen features slab travertine counters, high-end stainless appliances, breakfast bar.Secluded paver patio off living rm. Awesome main level master suite w/lg walk-in closet & spa-like bath. " "OPEN HOUSE Fri 3-5 & Sat 2-4 Perfectly situated on Plantation Golf Course this wonderful single story is quaint, cozy & ready to be called home. Soaring ceilings, hardwood floors, eat in kitchen, & lots of natural light. Charming 2 way fireplace bridges living & family room. North facing back yard with calming view of 14th hole. One owner home & meticulously maintained. New paint in master suite, 2nd bathroom & bedroom. Close to greenbelt, downtown, & foothills." "Prime investment opportunity in the heart of the North End! 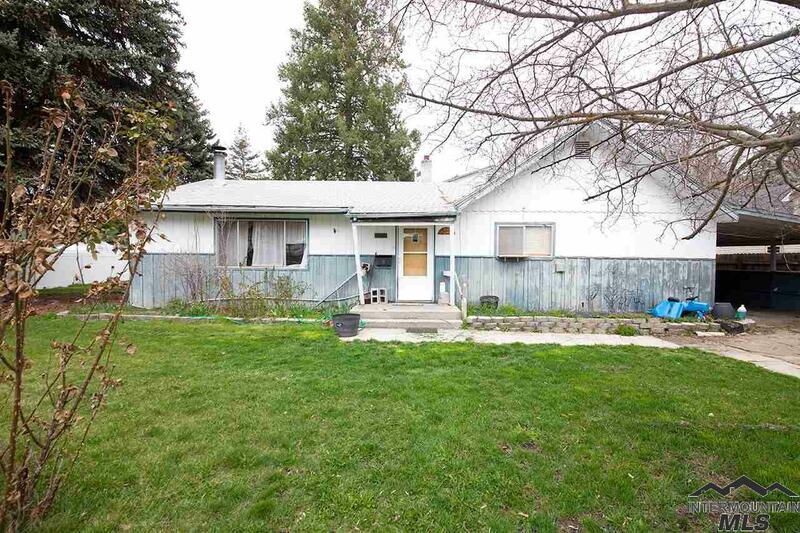 Already zoned R-1C, this property is loaded with potential. Development for up to 3 new dwellings. The property to the east is also listed by our team so for the right investor there is opportunity to purchase both for development." "New North End Single Level construction. Low maintenance neighborhood. Association covers landscaping, irrigation, snow removal and private street maintenance. 1 block to sunset park and Ablertsons. Close to Boise river greenbelt." "Fantastic Boise location. Enjoy a quiet, peaceful property at the end of a private lane. The kitchen boasts granite counter tops, stainless steel appliances, with a breakfast bar island. Three large bedrooms with plenty of storage and a separate den or living space." "Two Story Plan in Zen Gardens. 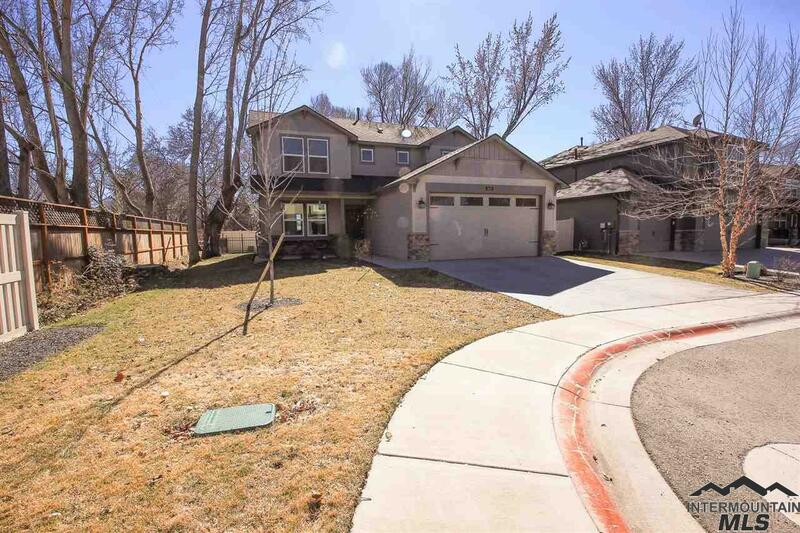 Great Location, Close to Downtown..."
"Zen Gardens is a 6 home subdivision located in Northwest Boise close to downtown, schools and shopping.."